Real Propmart. 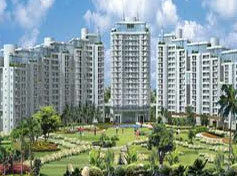 was started in the year 1998 with a view to provide the most profitable Realty solutions in the market. Guided by the profound knowledge and experience of the mentors Mr. Brijesh Sharma and Mr. Anil Sharma, the team at Real Propmart is dedicated towards maximizing the clients’ satisfaction for various property related needs. In addition to offering services for Buying Property, Selling Property and Renting Property; we also function as a professional Home Loan Consultant.